SCIENTISTS believe the discovery of a new virus in Australian bat colonies could be the key to unlocking the secrets of the deadly Hendra and Nipah viruses. 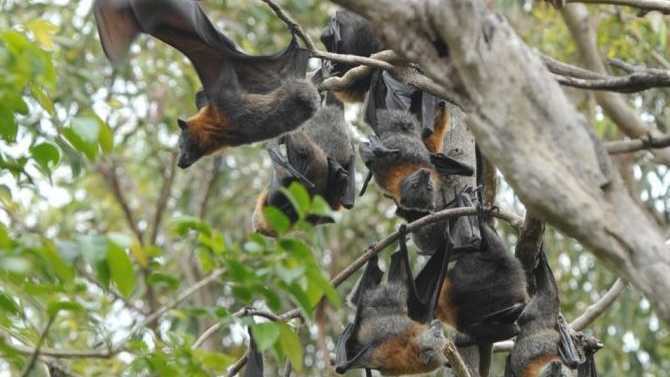 The "Cedar" virus, discovered in a black bat colony in South East Queensland, has been described by scientists as a "close relative" of Hendra and Nipah, but tests have revealed it is not nearly as lethal. Gary Crameri from CSIRO said the discovery was a breakthrough for scientists who previously knew very little about two of the deadliest diseases in the world. He said while it was too early to suggest Cedar could not be transmitted to horses and humans, the research so far indicated animals living near infected bat colonies had not tested positive to disease. "The significance of discovering a new henipavirus that doesn't cause disease is that it may help us narrow down what it is about the genetic makeup of viruses like Hendra and Nipah that does cause disease and death," Mr Crameri said. "The more that we can learn about bat-borne viruses, the better chance we have of developing anti-virals and vaccines to help protect human health, Australia's livestock industry and our export trade from the threat of current and emerging animal diseases. More than 70% of people and animals who become infected with Hendra or Nipah die soon after. Four Australians have died from Hendra. The Nipah Virus has claimed 30 lives world wide in the past 12 months. Do you support culling flying fox colonies when hendra is a recurring danger to a community? This poll ended on 24 July 2013.